Amazing world-building? Check! Intricate religions and mythologies? Check! Political intrigue, assassinations, and threat of war? Check check check! Shiva XIV sets the stage for a very promising fantasy saga. 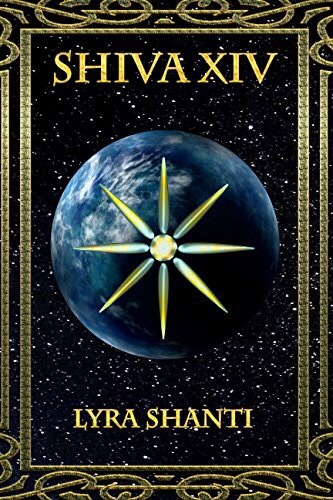 Author Lyra Shanti weaves a complex story, interspersed with close to a dozen major characters, each with their own worries, fears and motivations. This is no small feat! I didn’t feel like any of the characters were left ‘unfinished,’ either. There is just so much to this story! The history and mythology was introduced in a way so as to not overwhelm the reader. The various cultures and planets were intriguing. And, as I said before, the large number of important characters felt real. I’d be hard pressed to pick a favorite character! But if you’re going to force me, I might pick Reese. She’s tough, pragmatic, determined, and indispensable to her King. I appreciated that the ending of book one was not a crazy, nail-biting cliffhanger. There is definitely unfinished business, important wheels left spinning, but the sense of hope I felt reading the final sentences was refreshing. This is high fantasy mixed with sci-fi and a dash of YA just for good measure and I absolutely loved it! Interested in starting the series? At this time, the first three books of the series are available in Kindle Unlimited. Pick up the first book HERE. Great review for a fabulous book! I love the Shiva series, it gets more awesome with every story.